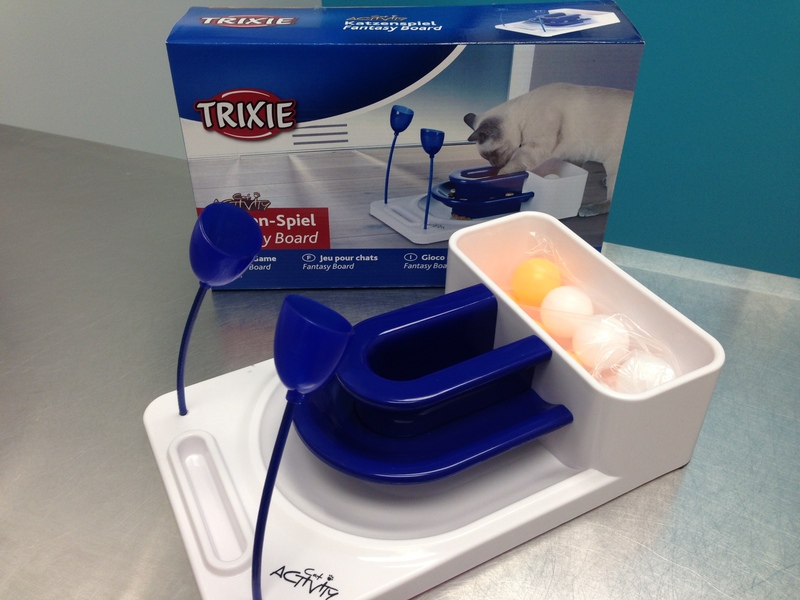 The antenna looking devices are actually meant to be pawed at by the cats and essentially catapult the food so that they have to go running to chase the kibble. Great to get an overweight cat moving around more. The thin channel is called a "tongue module" designed for canned food, an excellent tool to slow down fast eaters. 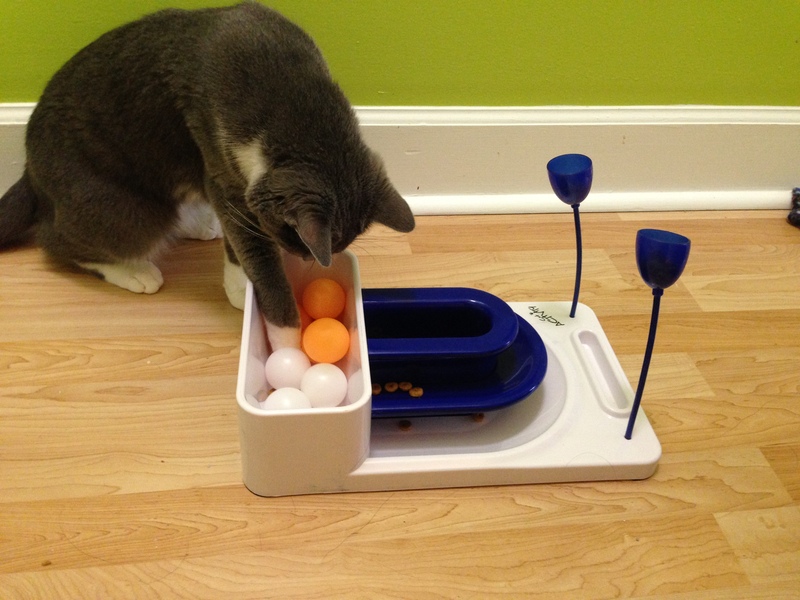 The large reservoir that holds the ping-pong balls can be used for dry food but can also be used for other enrichment games; for example, fill with water for cats that like to splash around in the sink, they can swat at floating ping-pong balls instead. Or take sprigs of cat grass or fresh catnip and drop them down inside. Not every foraging experience needs to be about food! 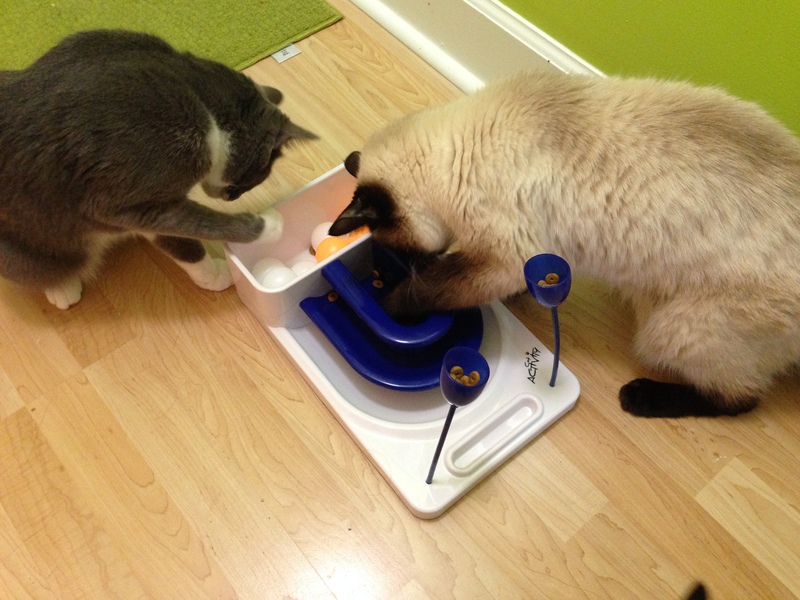 Ping-pongs are an obstacle to obtaining the food. 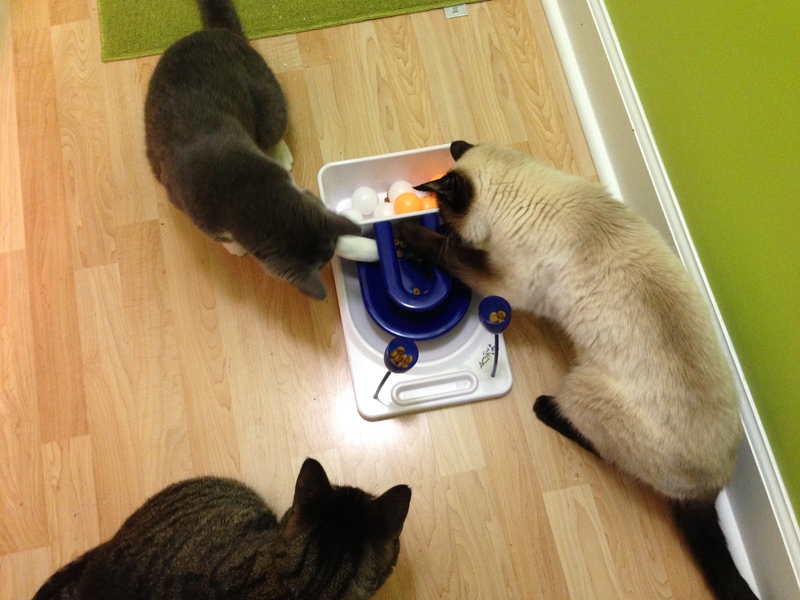 Multiple cats can engage at one time!